Wow, there’s probably no prettier combination than a stunning bride in the mountains! Add in a gorgeous dress and the perfect bouquet and it’s a masterpiece. I’m very lucky to live in beautiful Montana, it seems like everything is prettier here! Of course I’m spoiled to also be surrounded by great people, Montanans and otherwise, that give me the opportunity to photograph them in epic locations. McKenzie and Tyrel’s Beartooth wedding at Emerald Lake was about as epic as you can get. They tied the knot with an intimate wedding on the dock surrounded by their closest family and Montana’s tallest mountains. This is just a sneak peek of the beautiful bride and her bouquet from Katie at Mac’s Floral, who totally outdid herself I must say. 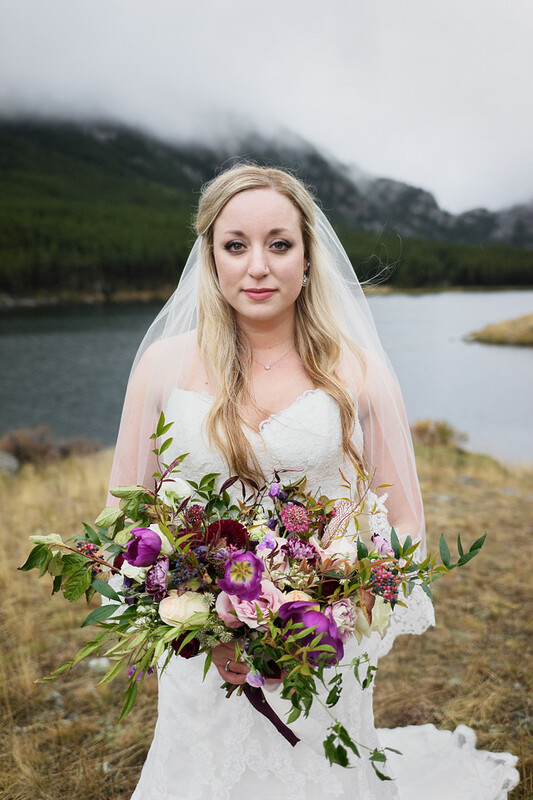 Stay tuned for more to come from this Beartooth Mountain wedding. For more information about my wedding photography please visit the Montana wedding photography website by clicking here.